SCS postgraduate students come from an enormous variety of professional backgrounds. Here are some of our students' profiles. Monash Health intern Dr Karinna Fyfe investigates the increased risk of Sudden Infant Death Syndrome (SIDS) in infants born preterm. Consultant gastroenterologist Dr Alex Hodge addresses the two foremost concerns in clinical hepatology today: finding a treatment for patients with cirrhosis and treating the emerging epidemic of non-alcoholic fatty liver disease (NAFLD). Under the supervision of A/Prof Velandai Srikanth and Professor Thanh Phan from the Stroke and Ageing Research Group in the School of Clinical Sciences at Monash Health, geriatrician Dr Chris Moran investigates the links between type 2 diabetes and dementia. The results of cardiologist Dr Arthur Nasis’ research have already led to the design and implementation of new pathways of cardiac care at Monash Health, significantly improving the assessment of patients with suspected coronary artery disease. In 2015 Lauren was selected by the World Association of Sleep Medicine to receive the Elio Lugaresi Award for Education at the opening ceremony of the World Congress of Sleep Medicine in Seoul, Korea. 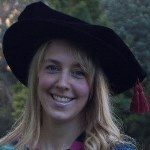 Neurosurgeon Dr Oehme's PhD focussed on developing new ways to treat and repair damaged or degenerate discs using a type of stem cell to produce cartilage within the disc space. Dr Stifter's PhD entailed the production of a new interferon (IFN) called Interferon epsilon, used in clinical settings to treat a number of diseases and malignancies such as Hepatitis C, melanoma and other cancers. Data from Asvini Subasinghe's PhD will provide a framework for low-cost community based nutritional interventions, targeting the prevention of hypertension in disadvantaged communities in India. Hector Thomson’s clinically focussed research will identify areas for improvement in the management of anaphylaxis presentations in emergency departments at Monash Health, Victoria's largest health care service. Final year MBBS student Andrew Toh was recognised for his outstanding research, receiving one of the highest annual research awards by the Australian Rheumatology Association. His work may contribute to the development of a new therapy for lupus. 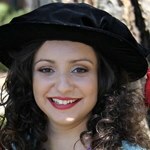 Anna Vlahandonis was the 2013 recipient of the prestigious Mollie Holman Medal for the best doctoral thesis in the Faculty of Medicine, Nursing and Health Sciences.